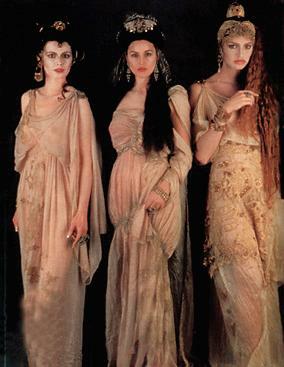 this finale look from the Chanel resort 2010 show instantly reminded me of the brides from Bram Stoker's Dracula circa 1992. For this reason I love it. If I saw you walking down the street wearing it, however, I might throw a quarter your way. Was the 1992 Dracula a tv show/movie or something? I don't know anything about it, but those vampire-looking women look great.